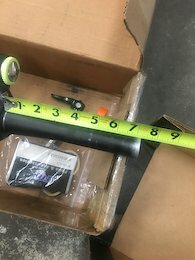 V10c frame, 2018 DHX2-550 Cane Creek spring, and Factory Fox40. Both have 5 resort days on them. Minimal scuffs. All works great. 2018 V10c. Got the frame new in July and have 5 resort days on it. A few small scuffs in the rims and minimal frame scuffs. Fork is clean. DH just isn’t my thing I guess. Everything works great and is in great condition. 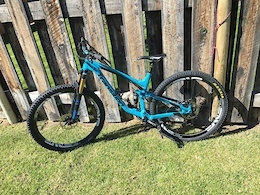 Frame: carbon XL Fork: 2019 Fox40 Factory 27.5 with Grip2 Shock: Fox Kashima X2 with cane creek vault 550 spring Wheelset: Enve 70/30 with cushcore. 32 spoke. Dt240 rear hub. 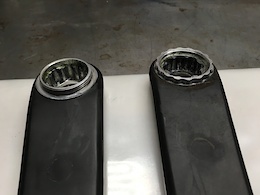 King front hub. Brakes: Shimano Saint with 203 rotors Crankset: raceface atlas with Renthal 34t ring. MRP Sxg guide. Drivetrain: Shimano Zee 10spd Stem/bars: Renthal 40mm stem. 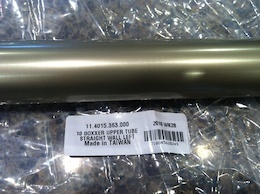 Renthal fatbar 30mm rise x 780mm wide. Specialized waffle grips. Seat/post: Thompson elite post with WTB volt saddle Tires: Magic Mary super gravity vert star front and rear. Cushcore installed and tubeless. No pedals. In light of recent press, I will be willing to negotiate price of the bike minus the wheels. Posted in "Do Magura brakes feel like Shimano XT/XTR/SLX brakes?" Can we get a video of some poor gal having to carry her groceries up those. Preferably my wife’s best friend Shannon! !